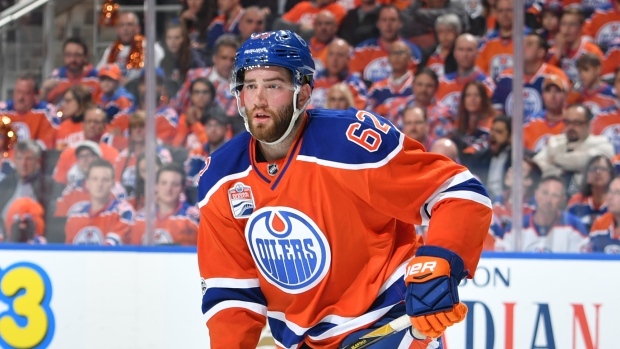 The Edmonton Oilers announced on Thursday that they have placed defenceman Eric Gryba on unconditional waivers for the purpose of buying out his contract. Gryba split the 2017-18 season between the AHL's Bakersfield Condors and the Oilers, contributing two assists in 21 games with Edmonton. The 30-year-old was due to make $900,000 in the last year of a two year, $1.8 million contract signed prior the 2017-18 season. Gryba will now be an unrestricted free agent. He will count for $300,000 against the Oilers' cap in each of the next two seasons, according to CapFriendly. A native of Saskatoon, Sask., Gryba was originally drafted in the third round (68th overall) of the 2006 NHL Draft by the Ottawa Senators. In 279 career games, he has scored seven goals and tallied 36 points for 43 points.